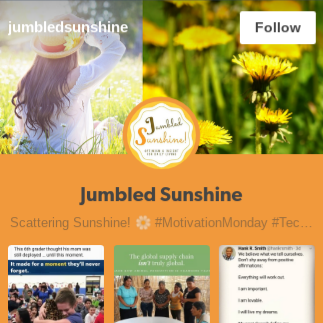 Jumbled Sunshine: Health and Wellness Journey Update: Plateau Broken! 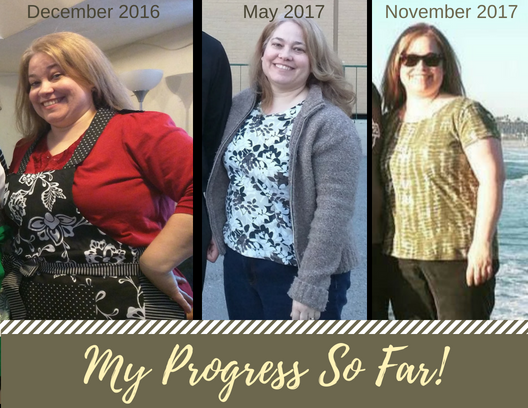 Health and Wellness Journey Update: Plateau Broken! I'm super excited today to report on my health and wellness goals! Unfortunately I'm not in a position to record a podcast today, or I'd totally be shouting this into a microphone!! 😉Suffice it to say that I think I made a breakthrough!! Aren't they the best? Sometimes it just seems like you slog away and trudge through the muck and difficulty of a challenge, and it seems impossible to overcome. But then, something happens, something changes, and suddenly you find yourself on the edge of a breakthrough. You wonder if it's the right way to go so you stew and contemplate and struggle with it (and if you're like me, you analyze it to death!) and then you decide to make the leap. Well this week I made a big leap! And I am already seeing success, though I've barely begun. Where to begin? I suppose it's best to refer you to my last #WellnessWednesday status report if you'd like some background context. You can find that post here: First Official Wellness Wednesday Post. I wrote that in January 2018 and it's currently the middle of May 2018, so it's been awhile! I will try to catch you up a bit and then tell you what's on the horizon now. In January I did the "no sweets for the whole month of January" until about the middle of January. Now that you're done laughing and I'm done crying (haha just kidding, I'm fine) I will just take a minute to congratulate myself for the couple weeks I did do! (Yay me! 💪💖 Go Erika!) Okay, now back to the story. So I visited my parents in January and went off of the "no sugar" thing after being there a couple of days because it was just so darn hard because I was on vacation! I did stick to my periodic fasting routine (mostly) but then I ate garbage when I wasn't fasting. So ... yeah, not the best approach, but by doing that I only gained a couple of pounds on that very long vacation. And there's the big BUT, haha. The problem is that once I got back down to my pre-2017-holiday weight, I could never break past the plateau. No matter how faithful I was to the eating windows, that scale just went up and down about 5 pounds but never went below one certain number. Grr! 😠Infuriating!! Now to be fair, I completely know that if I had just eaten more reasonably during my eating window, I probably would have continued to lose weight. But I was just stuck on a plateau, and could never break past that spot. And I knew that I just needed to make healthier choices. But IF kind of gave me permission to not eat all that healthy when I was eating (which, like I said, can be kind of handy!) but some of that food really made me feel terrible. And I was in denial about that. When I ate healthily during my eating window (lots of veggies, moderate carbs, protein in every meal) then I felt great! But I just kept bouncing up and down about five pounds and could never get past my plateau. Fast forward to a couple of weeks ago when a friend of mine and I were chatting in church about our health progress. She's lost 60 pounds in the last six months and it's been super inspiring to watch her progress! I thought a couple of times about asking her what she was doing, but we always had just a few minutes before and after the church meeting to chat and I was happy with what I was doing and felt like the plateau would break soon. But at the same time, I wasn't making the healthiest of choices and I knew it. And I knew that I probably needed another change. This is how my brain works. When I start to lose enthusiasm for something, I need to change it up to make my next breakthough. A change of pace, strategy, environment, system or tools can make all the difference for my enthusiasm. Can any of you relate? So when Nancy invited me to listen to a health information meeting at her house, I decided to go check it out. I was super impressed with her friend Kirtley who shared her own journey. It was also fun to hear Nancy's own story in more detail. They shared some of the basic principles of the health program that they used to reach and maintain their own health goals, and I enjoyed the get-together. I went home considering it for sure. I found myself contemplating if it made sense for me to get a jump-start by trying something totally new, with the added support of a certified personal health coach who is also my friend. The idea of having someone to hold me accountable is probably what made me the most interested, honestly. I've spent a lifetime learning and studying, which has included many different health programs over the years, so I know in my mind what I need to do. The hard part is getting myself to do it! My daughter Jessica told me the other day that she heard something once about a study that found out that it doesn't necessarily matter that much which health program you use, as long as you faithfully stick to it and have a good plan for maintenance. In other words, you have to actually DO what you KNOW. Mind-blowing, right? 🙄 Simple but nearly impossible sometimes! As I've visited with Nancy over the past week, I have been impressed with the details she asked me about, the knowledge she had, and her flexibility in working with me via video messages with the Marco Polo app. It works great because we get the face-to-face but we don't have to plan ahead to be on the phone at the same time. (Biggest problem with live video chatting.) Although for our "official health assessment meeting" we did both sit-down go back and forth for about an hour. She asked me about my current health situation, what my goals were, why I wanted to lose weight, and more things to help me really assess where I was and where I wanted to go. I felt like if I worked with her, I could really do this and finish getting down to my goal. Full-disclosure here, I have peeked briefly at that lower number a couple of times over the past seven months, but never for more than a day. And it's so exciting because I haven't seen that number in the past couple of months, and now it's here! Even though it feels like I've barely started doing anything yet! So awesome. So anyway, it's a new day here for #WellnessWednesday!! I'm excited to have a COACH, to have ACCOUNTABILITY, and to maybe even earn some money for my efforts, thanks to also signing up for a DietBet challenge on Monday night. I am hoping to earn back some of the money I am spending on my new program! I just have to lose 4% in 4 weeks. Do you think I can do it? I KNOW I CAN. Who's with me? It's not too late to join me. Let's make this the best summer ever!! I'd love to hear anything you have to share about your own plans and goals and challenges and breakthroughs. Accountability and friendships can make so much difference! I am so excited for all the decades ahead to keep learning and growing and enjoying my family and friends. ps - If you're interested in connecting with my friend Nancy, who is a Certified Health Coach, send me a note HERE and I'll give you an introduction or you can visit her website online HERE. I Didn't Ask For This Problem ... Or Did I? Give Cheerfully and Accept Gratefully!